You usually ride with Uber. Say your phone’s battery is low and you have forgotten the charger. Or you want to have some snacks but have nothing to munch on. Or you need some small electronic accessories. Your Uber driver might just help you with such needs. 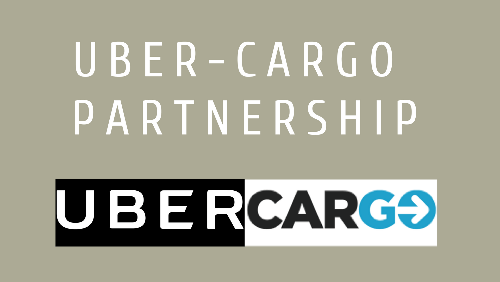 In July 2018, Uber-Cargo Partnership was announced in San Francisco and Los Angeles. Cargo is an in-car service startup that works directly with rideshare companies, drivers, and brand partners. It allows passengers to order products through their phones. This partnership will help riders buy goods from the centre of car console without moving an extra-inch. Drivers will get at least USD 1 per order even if the order is amongst free Cargo samples. They will also get 25% commission on retail sales. On annual basis, drivers might earn an average of USD 1,200 extra. Uber drivers will pick-up product boxes directly from support centres— Uber Greenlight Hubs. These boxes will have products like gum, snacks, phone charger, headphones, etc. For now, Uber-Cargo Partnership will work only in San Francisco and Los Angeles. But Uber plans to expand it to New York City, Boston, Minneapolis, Washington D.C., Dallas, Baltimore, and Atlanta. Also see how retailers are using QR Codes to engage customers.